Get it? Because of imps? Nothing is more exciting than subterranean architecture. Nothing. Therefore, the very concept of the Dungeon Keeper-esque Impire is equal to approximately four and a half barrels full of monkeys (the international standard for fun measuring). An action-strategy game at its core, Impire places you in charge of a sprawling underground lair teeming with the usual stuff that teems in underground lairs. It's your job to build and maintain the dungeons and ensure the minions stay properly demonic in the process. The main campaign in Impire allows both solo and co-op play. A recent update added two new multiplayer modes, one of which supports online co-op for up to four players. 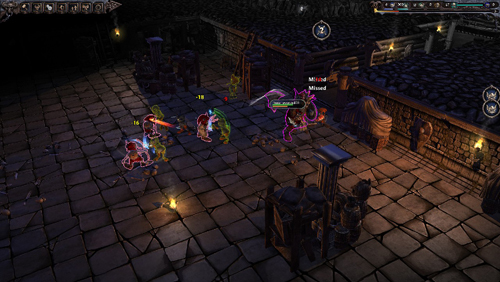 Survival Mode drops you and your pals in the dungeon as you defend your demonic units from invading heroes. Those jerks. Impire is currently available for PC on Steam as well as about a dozen other digital outlets. Page created in 1.0178 seconds.